This November 18, the Moon will located on the same side of the Earth as the Sun and will not be visible in the night sky. This phase occurs at 11:42 UTC. This is the best time of the month to observe faint objects such as galaxies and star clusters because there is no moonlight to interfere. What is a “new” moon? 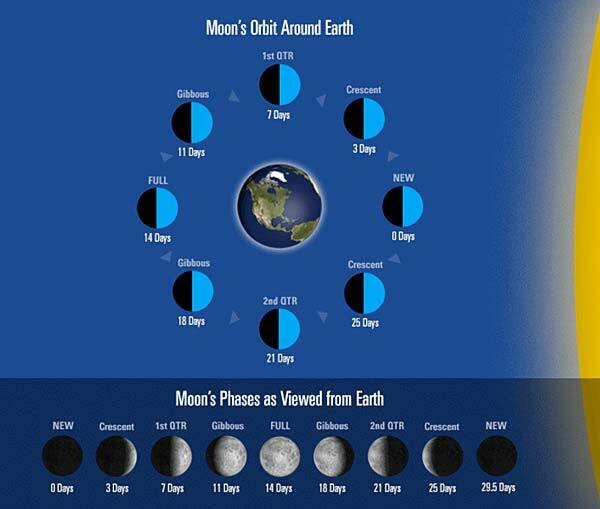 The new moon occurs when the moon is positioned between the earth and sun. The three objects are in approximate alignment. The entire illuminated portion of the moon is on the back side of the moon, the half that we cannot see. Fact or fiction? The phases of the moon are caused by the shadow of the Earth falling on the moon.